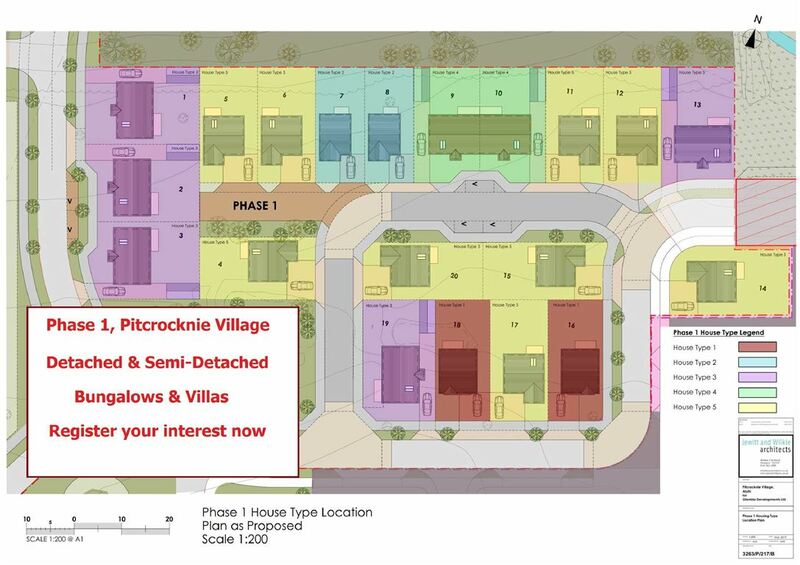 House for sale in Alyth | Phase 1, Pitcrocknie Village By Alyth | Thorntons Property - Estate Agents in Dundee, Edinburgh, Angus, Perthshire and Fife. Phase 1 of this stunning, bespoke development will comprise a mix of detached and semi-detached bungalows and villas. This phase of the development will consist of 2 bed bungalows and 3/4 bed villas, which will give purchasers a selection of layouts to choose from. The properties will be finished to a high standard and will consist of spacious interiors, quality fixtures and fittings and generous gardens. The charming Pitcrocknie Village which is located on the old Glenisla Golf Course, and lies within the picturesque Vale of Strathmore, gives the development a beautiful rural feel but ensures it is located close to all the local amenities the area has to offer. A short walking distance from Phase 1 is Alyth Golf Course and Pitcrocknie Restaurant and the development is ideally placed for commuting to the market towns of Blairgowrie and Forfar and the cities of Perth and Dundee. The city of Dundee offers a full range of facilities including 2 university campuses, Ninewells Hospital, and the world's leading museum of art and design The V&A. To register your interest contact: Thorntons New Build Team newhomes@thorntons-law.co.uk or 01382 200099.